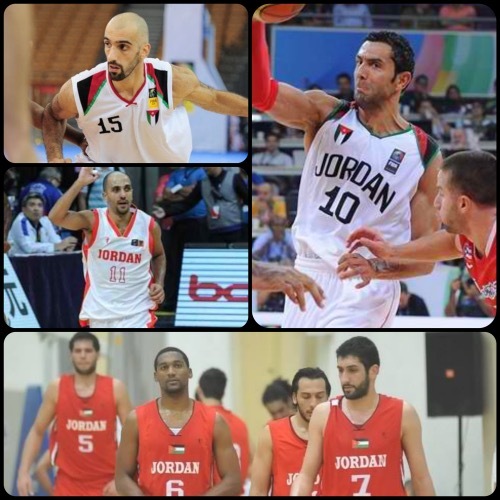 In my previous post, I looked at the beleaguered Lebanese team, and now I will look at another strong West Asian team, Jordan. - Like most Asian teams, Jordan’s last major tournament was the 2014 Asian Games in Incheon, South Korea, where they were seeded in the second round, but lost both their games and couldn’t advance to the quarterfinals. Missing a lot of key players and having no naturalized reinforcement, Al Nashama couldn’t really put up an impressive front. They were upset by a determined Mogolian team in their first game, 83-74, turning the ball over 17 times and shooting miserably from beyond the arc. In their next game, the Jordanians had an even tougher time, getting blown out of the gym by the host team, South Korea, 98-69. The Koreans showed much better playmaking and shooting in that match, completely outclassing their West Asian opponents. In both games, Jordan outrebounded its foes, but this was offset, once again, by their turnovers and the fact that they shot a total of 28-of-49 from the free throw line for a dismal success rate of 57%. Without a doubt, it was a tournament they’d rather forget. 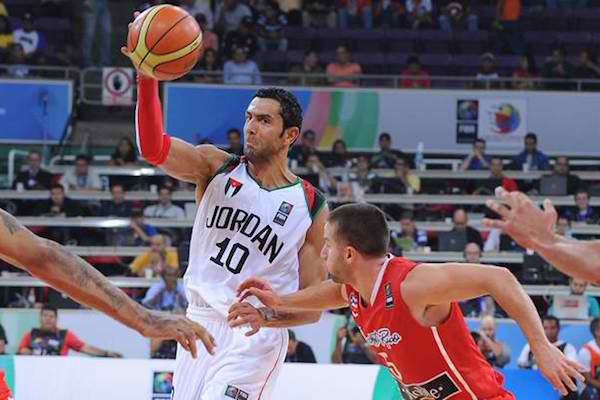 Wesam Al-Sous and the rest of Jordan struggled in their most recent FIBA Asia tournaments. - This time around, coach Rajko Toroman’s crew will have a more complete complement of players on his team, though its’s still by no means an ideal situation. Two key players who haven’t played for Jordan since 2011 — Zaid Abbas and Sam Daghlas — are back in the fold, while they have a new naturalized player on the roster, American-born Alex Legion. Earlier this year, Jordan had a lot of trouble trying to gather funds to organize tune-up games and training camps outside of the country, but they seem to have finally gotten some momentum of late. They recently played in a 4-nation pocket tournament in China, where they won their first three games against China’s Team B, Palestine, and UAE before faltering in the championship game against the hosts. 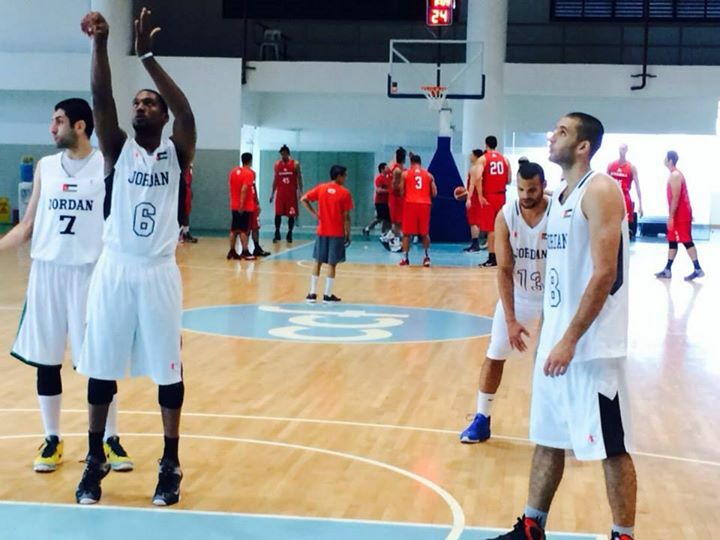 Even without Abbas and Daghlas in that tourney, Jordan impressed and showed that they still have a competitive team. Now, they are currently in Manila for a few more tune-up games against PBA clubs. They have already played, and lost to, the Blackwater Elite and the Ginebra Gin Kings, and will have a couple more matches opposite the GlobalPort Batang Pier and the Barako Bull Energy. Daghlas is in town and has rejoined the team, but iconic player Abbas wasn’t able to fly in because of visa issues. He is expected to join his countrymen when they fly to Changsha in the next few days. 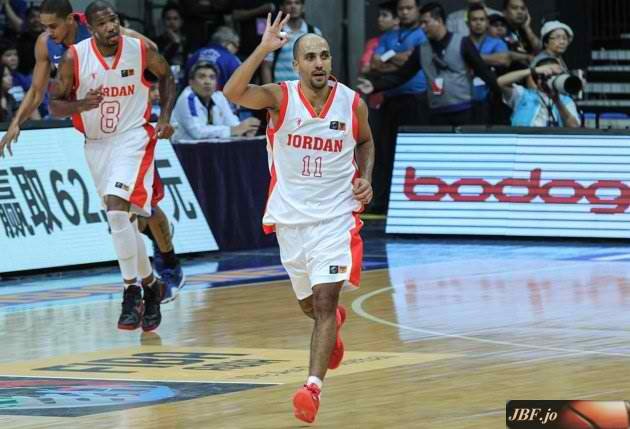 The Jordanians are currently in Manila for a series of tune-up games against PBA clubs. - Not having Abbas in Manila definitely hurts this team’s preparations. Daghlas’s joining just now is also far from ideal, but it’s certainly better than not having him at all. With those two veterans back in tow, coach Rajko should have a much stronger core than the one that played in the Asian Games and in the previous FIBA Asia Championship. 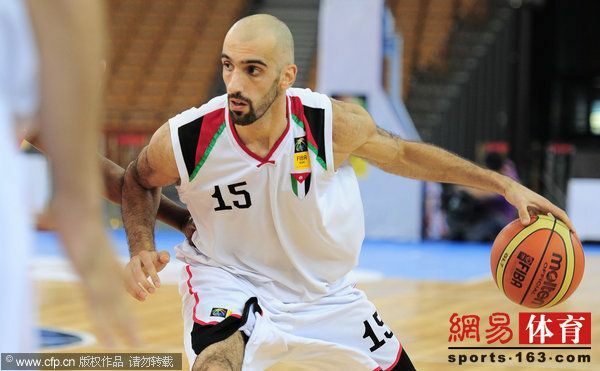 Abbas, Daghlas, and new naturalized player ALex Legion should form a vaunted three-headed monster for Al Nashama, which is bracketed in a tough group together with host China, perennial contender South Korea, and SEABA team Singapore. One guy who should have been here and could have really been a major factor is 6’11 Ahmad Al-Dwairi. The young promising big man has been projected as one of the guys to watch in Asia for the foreseeable future, but his current club — Anadolu Efes S.K. Istanbul in the Turkish Basketball League in Euroleague — has not released him for national duty. That’s significant mainly because of Al-Dwairi’s size and skill-set. Without him, Jordan will have a tougher time matching up with the likes of China and, perhaps down the line, Iran. Without him, guys like Mohammed Shaher Hussein, AJ Zaghab, and Abbas will have to really step up. 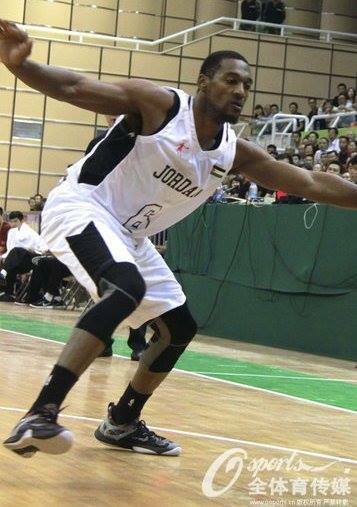 New naturalized player Alex Legion is epected to lead Jordan's charge. - Without a doubt, Jordan’s chances of advancing heavily depend on how well Abbas and Daghlas get reintegrated into the team and how well Legion turns out. If all three guys play up to lofty expectations, then Jordan has the potential to be a top 4 team. If not, the Al Nashama may not even make the quarterfinals. Having said that, other guys who have emerged in the past few years are also expected to contribute significantly. These are Ahmad Al-Hamarsheh, Zaghab, Hussein, Mousa Al-Awadi, and Wesam Al-Sous. If coach Rajko’s main men and supporting cast are all able to click, Jordan may just be a dark horse to qualify for the 2016 Rio Olympics. That, however, is a really big if. Sam Daghlas is back in the team to be their most reliable floor general. Zaid Abbas finally returns to national duty again.